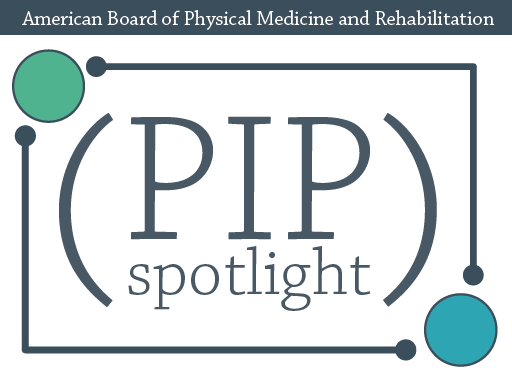 April’s ABPMR PIP Spotlight was submitted by Francis Unson, DO. Dr. Unson wanted to improve patient safety by implementing documentation of all needles inserted and removed for acupuncture sessions. The PIP Spotlight is a periodic feature on News Center to highlight exemplary Practice Improvement Projects submitted by your fellow diplomates for Maintenance of Certification (MOC) Part IV credit. Diplomates can use the PIP Spotlight as a tool to model additional PIPs on what you read here, or as a way to connect with other diplomates doing similar work. The goal of this project is to improve patient safety by documenting all needles inserted and removed for each acupuncture session and eliminating the sources of error that may occur in documenting acupuncture needles inserted and acupuncture needles removed at the conclusion of the acupuncture treatment session. What data (objective measurements) do you have that supports this as a problem? From January 2018 through October 2018, 991 acupuncture treatments were performed. During this time period, there were two documented instances where patients found an acupuncture needle upon leaving the session. There have been eight times when a patient noticed a needle that was not removed at the conclusion of the treatment. There were no documented instances of needle sticks. During busy times and with minimal number of acupuncture needles utilized, documentation had become inconsistent. What is your opportunity statement? State the goal you hope to achieve. Based upon record review there was a need to implement new acupuncture needle documentation forms and increase compliance to 100% of acupuncture treatments in order to reduce possible errors in counting and improve safety for patient, physician, and staff. What is the underlying cause of the performance/quality problem? Upon review, the quality deficiency was a direct result of inconsistent written documentation, logging needles inserted and removed during busy times in the office. In addition, occasional doctor error in counting needles was observed after thorough review of office practices. Acupuncture treatments vary from 6-30 needles with removal and reinsertion during an individual session. The varying needle usage can result in errors in tracking needles and necessitates stringent compliance with documentation. Inconsistent documentation during high volume times as well as lack of secondary check on the number of needles used directly, resulted in retained needles. What change(s) did you implement? A needle insertion/disposal form was utilized for each acupuncture treatment encounter. This was verified by ancillary staff at the conclusion of the treatment session. The patient was also asked to visually inspect and confirm the lack of retained needles at the conclusion of the acupuncture treatment. A brief survey of the table and floor for needles was also performed at the conclusion of the acupuncture session. Did you achieve your goal or target from your opportunity statement? What data do you have to support your conclusion? Yes, the goal was met by week three of the project with 100% of acupuncture sessions compliant with the new documentation methodology. Will you continue with the changes you have implemented? Consistent documentation and check of needle count was established by week three of the project and continues to the date of this submission. Future process/safety implementation may include verification by ancillary staff by physically counting needle packages utilized during each session cross checked with documentation sheet, as ancillary staff is not present during the acupuncture treatment session.